This cookware page is provided as a convenient way for you to identify your cooking needs (and wants) and a great place to research and find good quality kitchenware and cooking tools. You may not have to buy a to satisfy your cooking needs. If you only cook for a couple of people regularly, three pans may be all you need: a saute' pan with a lid, a sauce pan with a lid and a small stock pot with a lid. But if you cook for more than one or two people or you enjoy entertaining or if you enjoy cooking a variety of foods, you'll probably want a basic set of pots and pans. 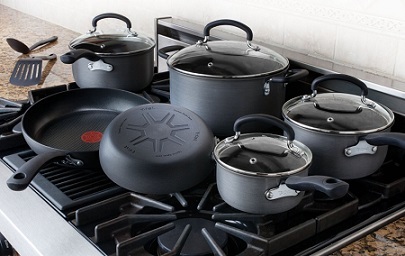 Purchasing a set rather than one pan at a time will save you money in the long run. I really like beautiful pots and pans but I buy ones that meet two critical criteria: conductivity and durability. Conductivity means the cookware is made of materials that transmit heat evenly and efficiently. 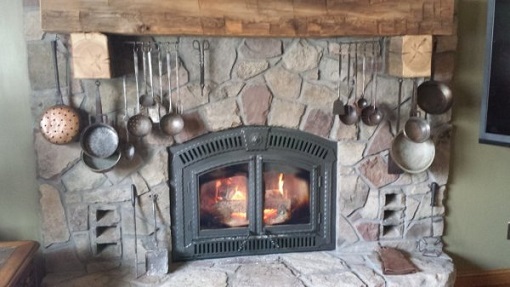 When pots and pans are made from highly conductive metals, heat spreads quickly and evenly across the bottom and up the sides, allowing food to cook evenly. Today most pots and pans meet these two criteria. However, if you choose aluminum make certain it is "anodized." This process hardens the aluminum and makes it non-reactive to foods. Pots and pans have come a long way, thanks to technology! I have two items listed as "basic" that many people leave off the list: a steamer basket and a crock pot (slow cooker). I include a steamer because steaming makes a huge difference in taste and nutrition. I include a crock pot because many people today need to start cooking a meal in the morning so it is ready when they return home from a busy day. Click on each of the recommended individual items to read details about that specific item and its uses. No single kind of kitchenware does the best job at every kind of cooking, so you may want to consider supplementing a set with individual pieces, including some made of different materials for specific cooking tasks. I hope you use this cook ware resource page often. I know you'll find it useful. Don't forget to bookmark the website.